After episode 4’s dismal display, episode 5 brought some of the best scenes in the show thus far, although it ended less well than it could have. Follow me under the jump for a look at this week’s episode. 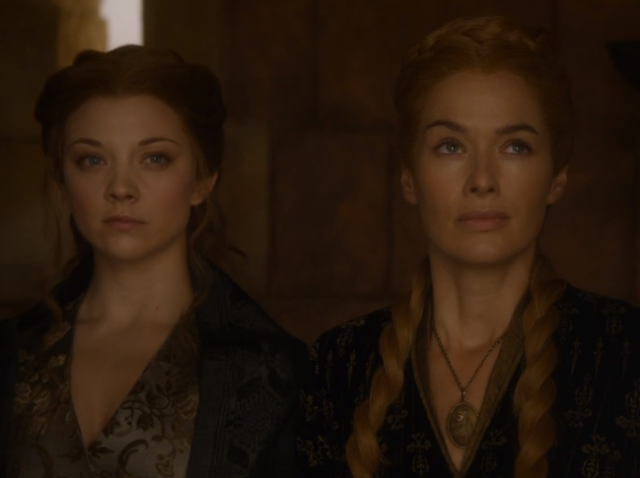 It’s difficult to know where to start; there are a lot of very well scripted and acted scenes in this episode but perhaps the most interesting element is the significant character development of Cersei and Sansa and the interesting new plot information. Cersei was so beautifully scripted and acted in this episode that one would be forgiven for believing that she was actually the wise daughter of a powerful house rather than utterly short-sighted and a little insane. 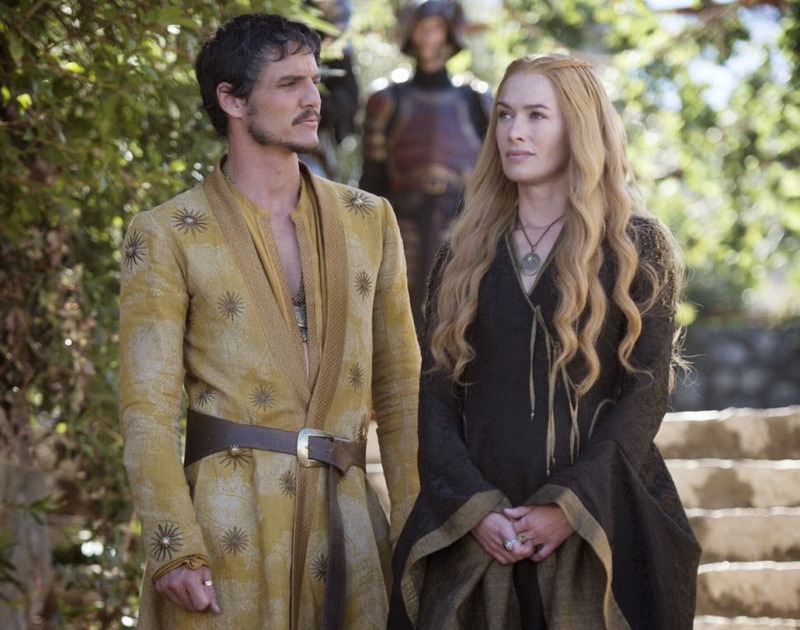 Cersei deftly influences some of the key players in her son’s murder trial, putting aside her own future for the justice she believes her son deserves. Her conversation with Margaery was charged with a different kind of emotion, one of understanding and mutual benefit, though I wouldn’t mind betting that it was all a lie to win Margaery’s father’s vote against Tyrion. Similarly, we see her converse with Tywin on a number of subjects that she usually fights him on, with poise and reflection. Rather than fighting him or resigning herself to his decision, she articulates the situation in a way that she knows will get to him, the good of the family and its name. Finally, she seeks out Oberyn Martell and shares what seems like the most genuine of all of the conversations, lamenting the loss of her son, finding common ground in revenge and asking Oberyn to send a gift to her daughter Mycella; a ship. Well done Cersei, I have to say that was one of the few masterful moments I have seen for that character and I am pleased that she has evolved to be most capable than her book character counterpart. Makes for more interesting television. We see Sansa introduced to her mad Aunt Lysa at the Vale, who is obsessed with Littlefinger and convinced that he has impregnated Sansa. 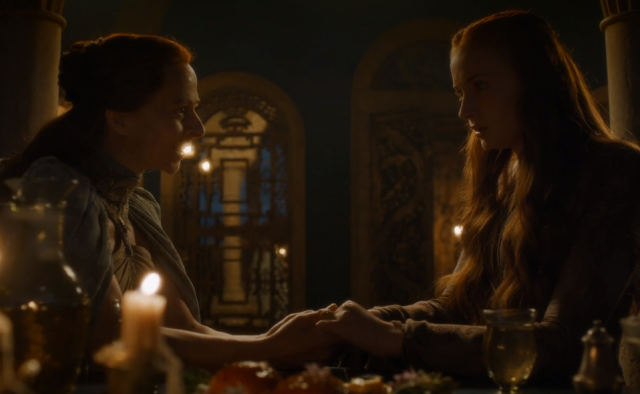 Using the very skill that Littlefinger taught her, Sansa manages to convince her Aunt that not only has Littlefinger never touched her, but that he has eyes for no one else but Lysa. I am not sure how clear the relationships are between Littlefinger, Lysa Arryn and Catelyn Stark but as a short reminder; Petyr was Hoster Tully’s ward. He fell in love with Catelyn and fought Brandon Stark for her when she was promised to Brandon. Needless to say, Catelyn begged for Petyr’s life and he was ousted from the family. Lysa held a torch for Littlefinger and it seems he definitely slept with her when they were younger. It’s unclear, although rumoured, that the same was true of Catelyn. We discover in a blink-and-you’ll-miss-it moment that Lysa’s husband John Arryn, whose death sparked the conflict in the first ever episode of Game of Thrones was not at the hands of the Lannister’s, but was a plot between Littlefinger and Lysa. Lysa poisoned her husband at Littlefinger’s instruction and then wrote a letter to Catelyn implicating the Lannister’s. This resulted in the turn of events that had Ned lose his head at King’s Landing, starting with Catelyn’s capture of Tyrion Lannister. Littlefinger is going to win. In anticipation I am sure, Tywin gives us a run down of the Iron Bank again. 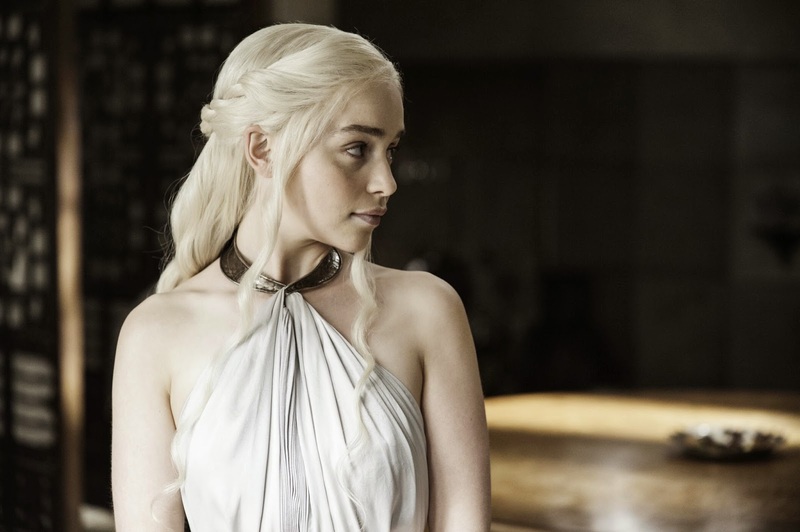 They are mentioned a lot in this season of Game of Thrones, so the storyline involving the Bank must be speeding up. “What in the seven hells is going on at the Wall?” you might ask. To be honest, having read the books, I have no idea what is going on in the show. It’s a mess of pointless backtracks and crossed storylines. 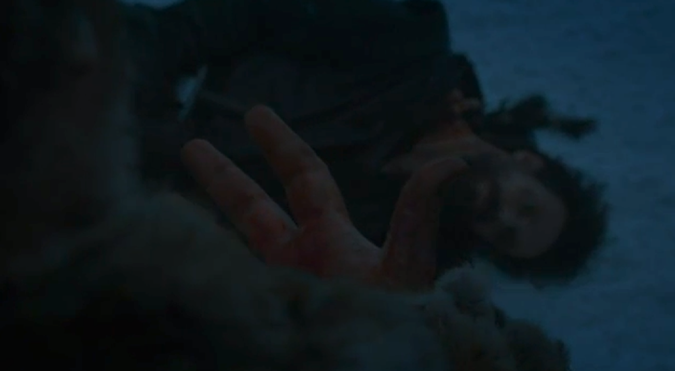 We’re supposed to believe that Mance Rayder is primed to attack at any second, yet the small group led by Jon have time to get all the way to Craster’s Keep? Which is ages away? Let’s not talk about the fact that they burned it all down, which sends a pretty large signal to the Wildlings. Sigh. Increasingly the story at the Wall and north of it is becoming problematic as it is slow moving in the books and not really written for a television show, let alone one that prides itself on pace. In the book not only is ‘Locke’ not at the Wall or in the Night’s Watch, but also Bran and his companions are not captured by anyone and they do not come close to meeting up with Jon at Craster’s Keep. Why are they anywhere near Craster’s Keep right now? It’s ridiculous. Worse is that, as I have mentioned before, for the sake of pace and drama, the motivations of some characters have been changed. 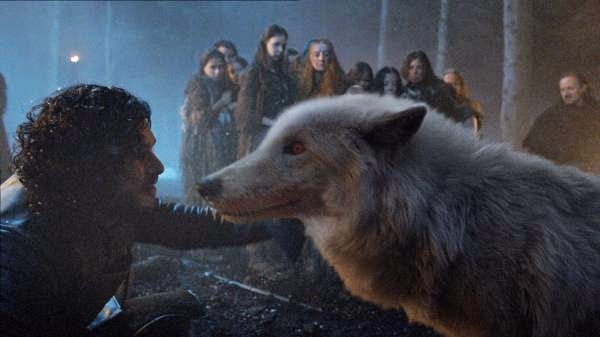 I am not sure how well the show has illustrated that warging into another person is considered by many the most unthinkable thing that a warg can do. Let alone killing someone in another person’s body. 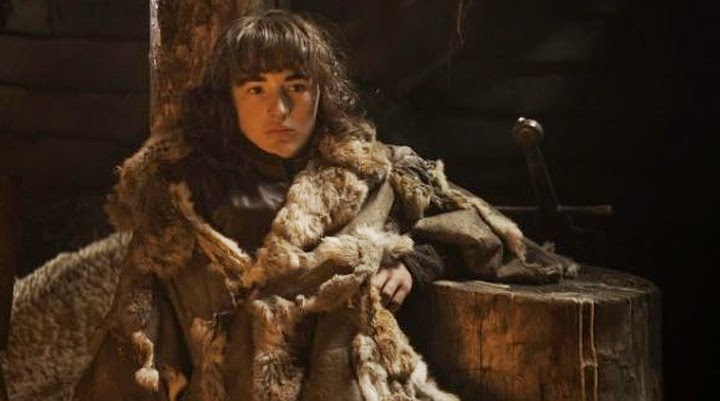 In this episode we see Bran enter Hodor and kill Locke to protect both of them, but in doing so Bran crossed a line that Bran in the books never crossed. Not only has Bran now killed a man; he did it while possessing Hodor. Not good. The timelines for everything at the moment are very messed up, but an example is Bran and Samwell Tarly’s meeting. Sam and Gilly are the ones who introduce Bran and his companions to Coldhands at the end of this book, but they have already met in the show and Sam is far from crossing Bran’s path again. I guess they wanted to speed that part of the story up. Further, Sam does not tell Jon that Bran is out north of the Wall and alive when he returns in the book. Changing motivations is key. Whether it’s Bran killing someone or Jon not going after his brother whilst knowing he is alive, this changes the essence of the character development and influences the consistency and validity of future choices. On the plus side, at least we got to see Jon be a little more kick arse which will help with what is coming. Daenerys chooses to stay and rule in Meereen, which is a big call in terms of the games currently being played in Westeros. Given there are still five episodes in the season left, I can’t think how much time we will spend with her for a story that doesn’t really move. Perhaps they will have her have her prophecies given to her now? Arya changes her prayer to include The Red Woman and some of the Brotherhood, which is annoying given they were not on her list in the book. This is a result of pointless changes made in the show to have Gendry split from The Brotherhood. The Brotherhood is a force for ‘good’ in the books, for the most part. Tommen is crowned King and seems like he has the temperament to follow through. It will be interesting to see how he develops moving forward, especially his relationships with Margaery and Cersei.